Samoa is a step closer towards realising the dream of the Tui-Samoa Cable. This week, the Samoa Submarine Cable Company Limited (S.S.C.C.) 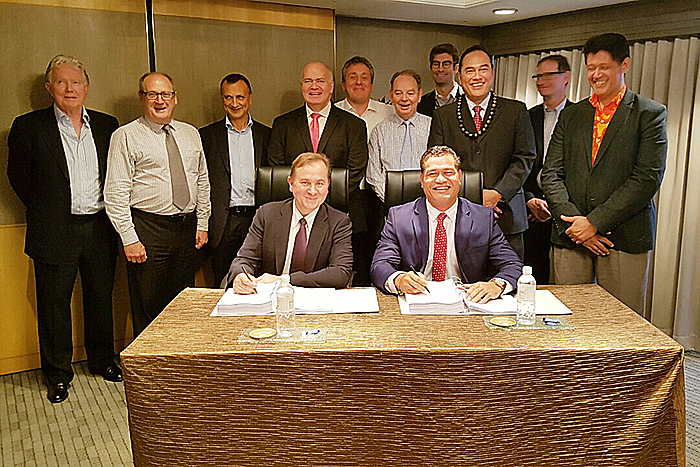 and Alcatel-Lucent Submarine Networks, part of Nokia, have signed a turnkey contract to roll out a new submarine cable system named Tui-Samoa Cable, which will span more than 1,470 km, providing an advanced broadband highway for inclusive social and economic growth. 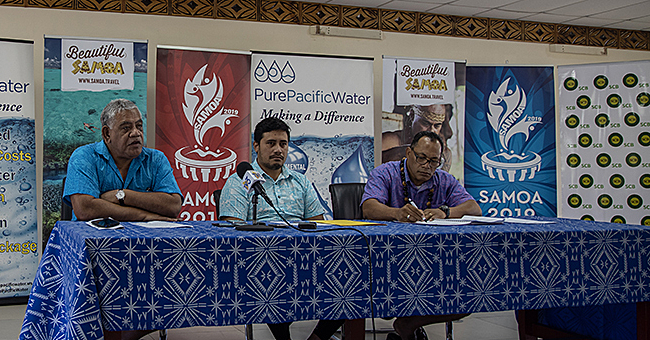 Strengthening Samoa’s domestic and international connectivity, Tui-Samoa Cable will have landing points in Apia and Tuasivi (Samoa) and Suva (Fiji). It will deliver a capacity of at least 8 Terabits-per-second (Tbit/s) using 100 Gbit/s transmission technology. 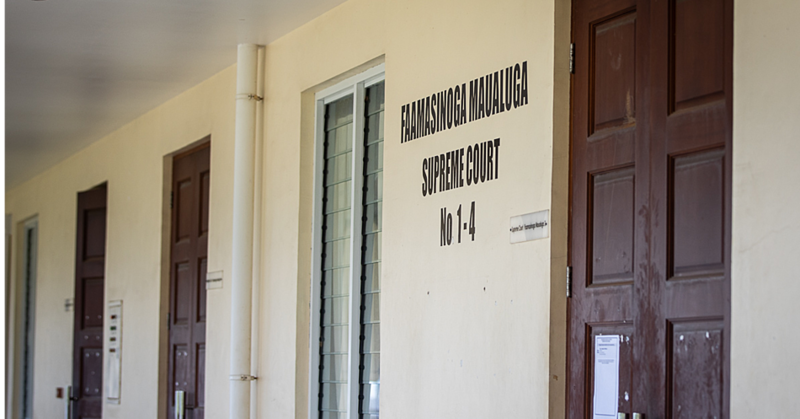 The system will enable possible future extensions to the islands of Vanua Levu – Savusavu (Fiji) and Wallis & Futuna. The Minister of Communications and Information Technology, Afamasaga Rico Tupa’i, said the Cable will deliver Samoa’s commitment to universal access and high speed broadband internet. “The Samoa Connectivity Project has been possible with the enormous support and commitment of our development partners - the Asian Development Bank, the World Bank and the Australian Government - working closely together with local Samoan investors,” he said. The Chairperson of S.S.C.C, Pepe Fia'ailetoa Fruean, is excited about the possibilities. “Fast, reliable and affordable internet services will no longer be seen as a luxury reserved for a few, but as a basic right for the Samoan people who will now have access to information, innovative services and applications that will improve their lives,” he said. “The accessibility of high quality connectivity via state-of-the-art fibre optic cable technology will stimulate Samoa’s I.C.T growth and drive our economy. 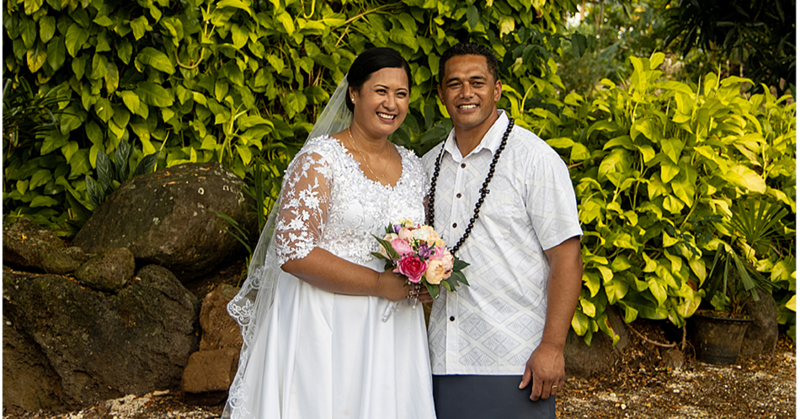 “With the support of Alcatel-Lucent’s submarine cable technology, Tui-Samoa Cable will reduce the current dependence on satellite and further accelerate the development of innovative services and applications. S.S.C.C is committed to promoting regional cooperation by offering partnerships with Wallis & Fatuna and Vanua Levu Fiji with the objective of sharing the substantial benefits of Tui-Samoa Cable. S.S.C.C is a private company incorporated in Apia Samoa and will build, manage and operate the Tui-Samoa submarine cable between Apia Samoa and Suva Fiji. S.S.C.C will operate a Cooperative Sustainable Wholesale Model (C.S.W.M) with the mandate to deliver fast, reliable and affordable internet services to stimulate I.C.T innovation and development as an enabler of economic growth and social prosperity for the people of Samoa.